The primary difference between L.A. and N.Y.C. Ross Bennett is a popular headliner at comedy clubs. He is a veteran and a comedian. Ross Bennett appeared on The Late Show with David Letterman. He won “Best Supporting Actor in A Comedy Web Series” at LAWEBFEST2016. Check out his winning performance on Addicted to Show Business. He is a recurring guest on The Bob and Tom Show morning show. He loves performing for casinos, cruise ships and country clubs. 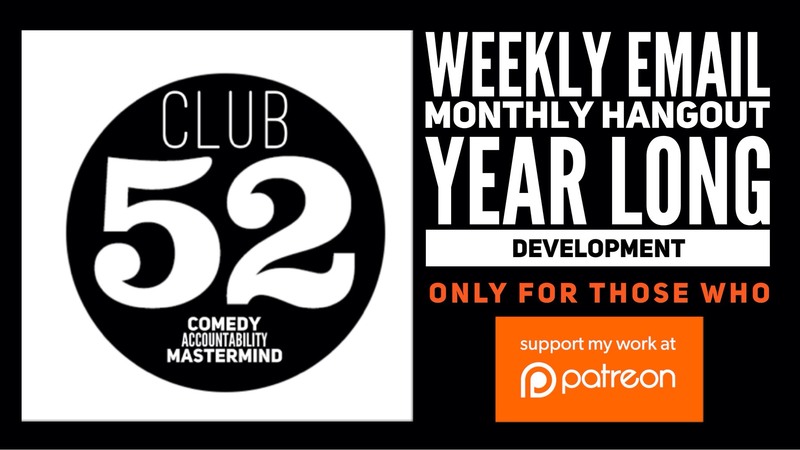 This episode is brought to you by Patreon supporter Maria DiMaggio and by CLUB 52. Meet comics from around the country during a monthly online “hangout”. As a group, we tackle our top struggles and how to approach overcoming them. Think of it as your personal monthly mastermind group. Over the course of the year you will learn how to get more gigs, and leverage every opportunity that comes your way.